Home Dublin Europe Lifestyle Lotto Odhran Doherty World news A Lotto winner arrived in a stretch limo to collect his jackpot - but forgot the all-important lucky ticket. 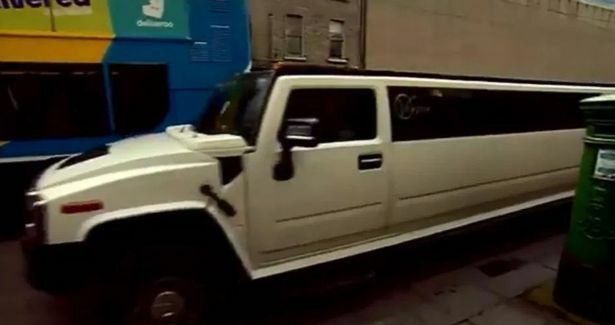 A Lotto winner arrived in a stretch limo to collect his jackpot - but forgot the all-important lucky ticket. Odhran Doherty had to ask for his Hummer to be turned around 10 miles into his journey to collect his winnings. The 23-year-old was travelling from Donegal to Dublin, Ireland, after scooping an incredible £850,000 (€1,000,000). Farm worker Odhran said: "My father put it in a safe place, a wee bit too safe now to be honest. We were in Raphoe, near where we got the bloody thing. "But it wasn't too bad, we were only in Raphoe so we got it back and it was alright." 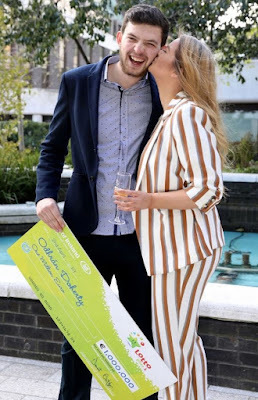 Odhran was gifted the Lotto ticket by his father, Liam, after a tough day's work along with his mum, Margaret, at the family farm in Letterkenny, reports the Sun . Liam said: "We were working on Saturday, Margaret, myself and him on the farm all day and I decided to go up to Raphoe for something to eat. "I bought three tickets, one for Margaret, myself and Odhran." Liam revealed he might treat the family to a new Massey Ferguson tractor with the winnings and a family holiday in the next few months.